The Irish lords submit to Henry VIII in 1541. John Dorney looks at the election and meeeting of the first majority-Protestant Parliament in Irish history, in 1613. The Irish Parliament dated back to 1297, when the Lord Chief Justice of the Lordship of Ireland, Sir John De Wogan, first called an elected assembly of Anglo-Norman Lords, Bishops and Commoners. The Parliament was nothing like its modern equivalent. It met only when the King called it, in order to pass new laws or new taxes. It had a long and turbulent history until its abolition under the Act of Union in 1801. Throughout the later medieval period, the Parliament was the representative of the Pale or “Old English” Community, that beleaguered, shrinking outpost of Englishness around Dublin in a hostile Gaelic countryside. In the early 16th century, the Palesmen, troubled by the erosion of their “civilisation” by “barbarism”, repeatedly called for the re-conquest of Ireland. But things did not work as they had hoped. The Old English found that they were expected to pay for the military conquest of Gaelic Ireland. Throughout the 1570s and 80s, the Irish Parliament fought a long and partially successful battle against new taxation. When successive Lord Deputies (King’s representative in Ireland), tried to bypass Parliament to make them pay an indirect tax, known as “Cess”, they resisted that “tyrannical exaction” too. The Palesmen also found themselves on the wrong side of the Reformation. The Old English community, rather than accepting the Protestant faith coming out of England, remained stubbornly Catholic, indeed became increasingly so. The Irish Parliament passed the Act dissolving the monasteries and the Act of Supremacy recognising Henry VIII as head of the church in 1537, but by the 1585-86 Parliament, the commons resolutely refused to extend to Ireland the anti-Catholic legislation passed in England. It is one of the great ironies of Irish history that the Old English community, intensely loyal to England throughout the middle ages, effectively became “Irish” in the 17th century because of their Catholicism. In 1613, having confiscated most of Ulster and granted it to English and Scottish settlers in the Ulster Plantation, James I called the first Parliament since the awkward, combative assembly of 1586. This time, unlike his processor Queen Elizabeth in the 1580s, he took no chances that the Parliament would have a Catholic majority. “the project of erecting so many corporations in places that constantly rank as the poorest villages in Christendom, do tend naught else but by the voices of a few selected for the purpose…extreme penal laws should be imposed on your subjects”. 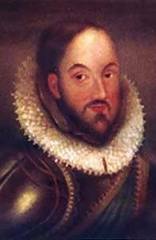 It wasn’t the confirmation of the Ulster plantation that the Palesmen were worried about – they’d had little sympathy for Hugh O’Neill’s Gaelic rebellion in the Nine Years War and no regrets that his and his allies’ land had been confiscated. It was the passing of anti-Catholic legislation, already approved in England in 1606, whereby those who did not attend Protestant services would have to pay the then-huge fine of 20 pounds a month. In Dublin there was riot at the Tholsel. In Cavan, armed troops prevented Catholic electors from voting. If it were passed, the position of the Catholic gentry would be untenable. They would either have to convert or face bankruptcy and see the Protestant “New English”, who had arrived with the Tudor conquest supplant them as the country’s ruling class. The election itself was turbulent. In Dublin, the small number of electors gathered at the Tholsel (a merchant’s hall near Christchurch), to publicly proclaim their vote. Protestants complained of, ‘a great tumult and mutiny’ in which Catholics forcibly removed them from the building and they were only admitted when the Lord Deputy’s troops arrived. Several Catholic city aldermen were arrested for their role in the disturbance. In Cavan, Sir Oliver Lambert, an English official and Protestant, stationed troops with “burning matches” (of their matchlock muskets –i.e. ready to fire) outside the courthouse, where the votes were cast and refused to let in anyone they thought might vote for a Catholic. Just to be sure, Lambert also had one of the Catholic candidates imprisoned for the duration of the election. One “George Brady” (the name seems suspiciously anglicised for the time and place), who did declare his vote for a Catholic got Lambert’s walking stick across his head for his pains. When the Parliament assembled, at Dublin Castle on May 18, 1613, Protestants had a 32 seat advantage in the Commons (132-100). Of the Catholics, 80 were Old English and only 20 Gaelic Irish. In the House of Lords, the block vote of 20 Protestant Bishops gave the Government control. An armed guard of 100 troops searched MPs as they filed into the hall. The Catholics, however, were quite determined to block proceedings. The Government proposed the Protestant John Davies as speaker, but the Catholics elected John Everard, one of their own and physically carried him into the Speaker’s chair. The Protestants warned that, “they would be enforced to pluck him out” and a scrum ensued around the Speaker’s chair. The Protestants at first tried to lift John Davies onto Everard’s lap and when this failed, hauled him off the chair, “cast him to the ground, tore his gown and bruised him”. The Catholic members tried to walk out in protest, only to find that the doors had been locked and instead, “words of hate” were exchanged between the parties for over an hour. When the Catholics made it outside, their spokesman, William Talbot, declared, “those inside the house are no house”. James I needed the backing of the Old English community (they owned in the region of 60% of the land of Ireland) and backed down. He eliminated some of the newly created boroughs, so that the Protestant majority came down to six by the time the Parliament met again in 1614-15. There were no more parliaments until 1640 and no new anti-Catholic legislation until the Cromwellian government passed some in 1653. “content to admit into the House of Parliament to make laws, some of the principal actors in that rebellion [the Nine Years War] and are offended that they cannot expulse the King’s honest [Protestant] subjects to draw in more of that wicked crew…For they would have Barabbas and exclude Jesus”. Written by: John_Dorney on 25 February, 2011.on 9 April, 2013. 5 Responses to "Election Day – 1613"
Where can I get a list of all those elected to the Parliament in 1613.